There are some dishes in which you want a particular ingredient to shine, to be the focal point, to stand up and run the meal. And there are some dishes in which you just want all of the ingredients to meld together and make the whole better than the sum of its parts – this is one of those dishes. The creamy cider sauce is rich but not too cloying, and the amount that this recipe makes will just coat your pasta- you won’t be drowning in sauce. 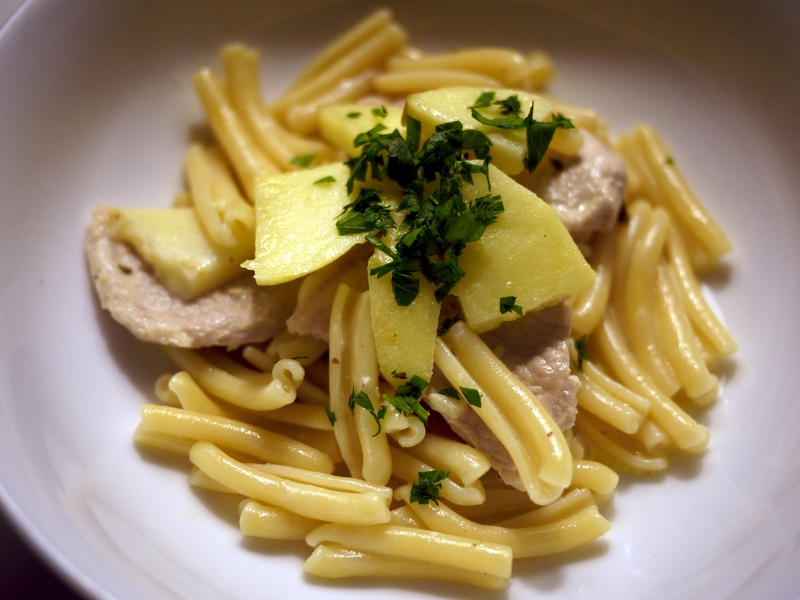 The pork and apples are both mild enough that you don’t need too much salt for seasoning, and the sage and mustard add depth without conflicting personality. 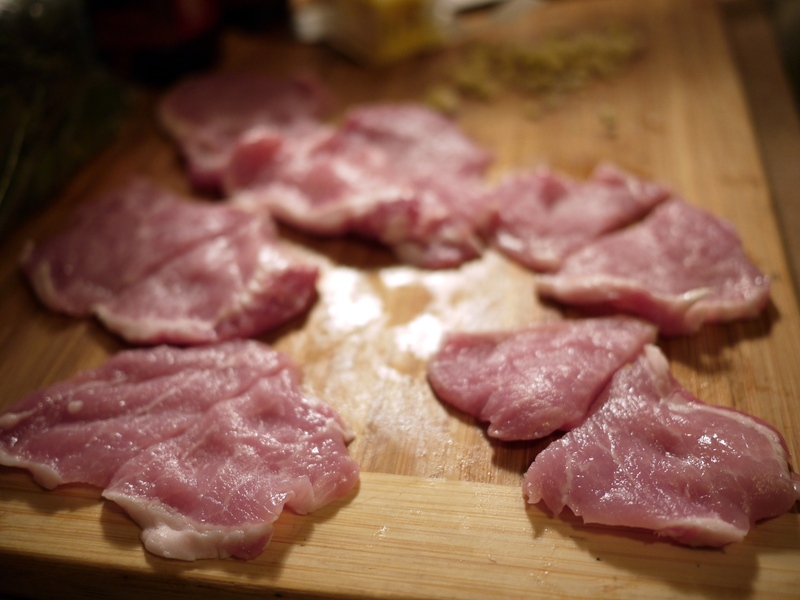 Start by going to your butcher and requesting thinly sliced pork loin- one of the tricks to this dish is getting pork so thin it doesn’t take long to cook. Cook your pasta, then leave it to drain – you’ll add it to the sauce and warm it up later. Peel and core your apples, then slice to a similar thickness as your pork. Melt half of your butter in a large pan and saute the apples over medium-low heat until tender but not mushy- about 8 minutes. Remove apples from pan and put on a plate to rest. 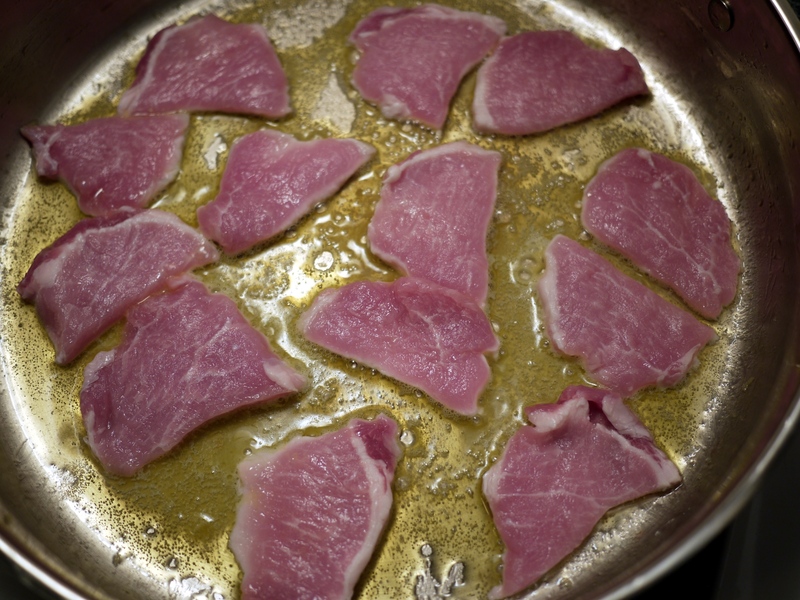 Using the same pan, melt the rest of the butter and sear your pork slices, about a minute on each side. 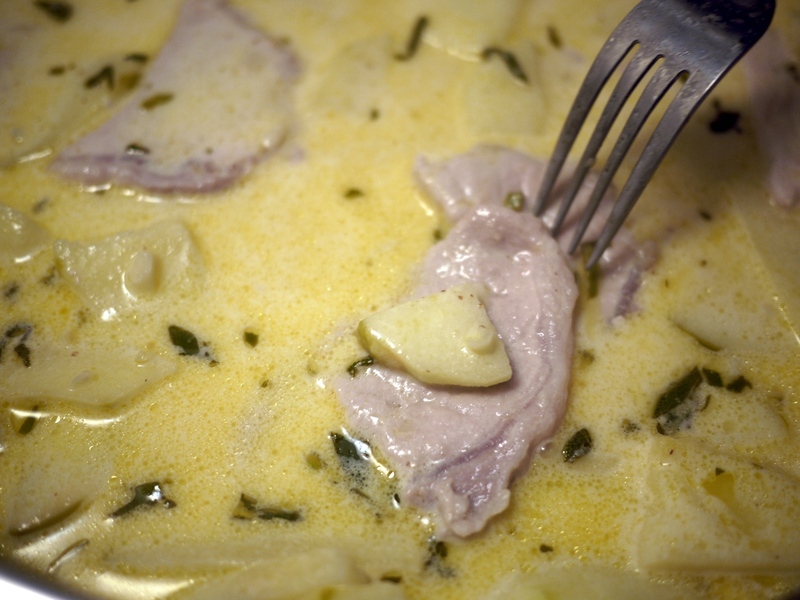 Leave butter and pork juices in pan, but remove pork and set on a plate, covered in foil, to rest while you make your sauce. Add cider to pan and stir, scraping bottom of pan. Then add minced garlic, sage, salt, pepper, mustard, and chicken broth. 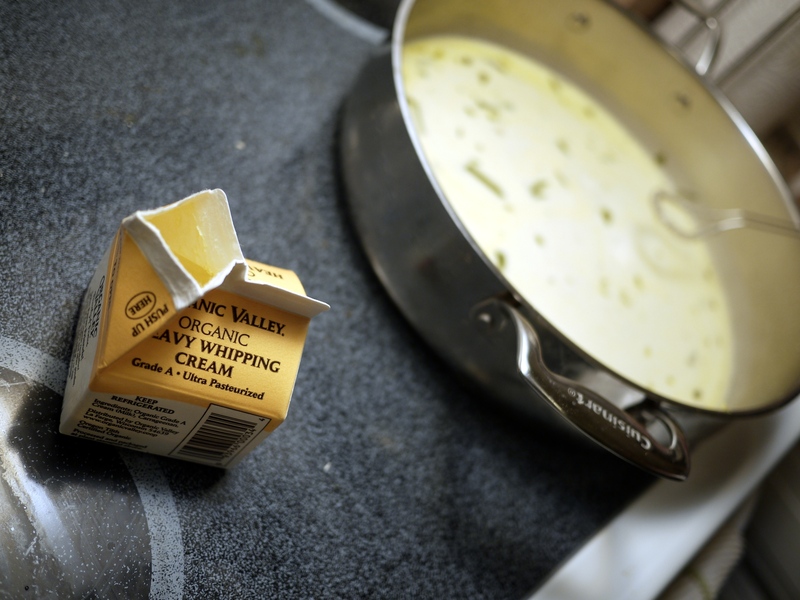 Using a whisk, incorporate all ingredients and bring to a boil. Turn down to a simmer for 10-15 minutes and let mixture reduce. Add cream, bring to a boil, then let simmer for 10 minutes. Taste, adjust salt and pepper if needed. 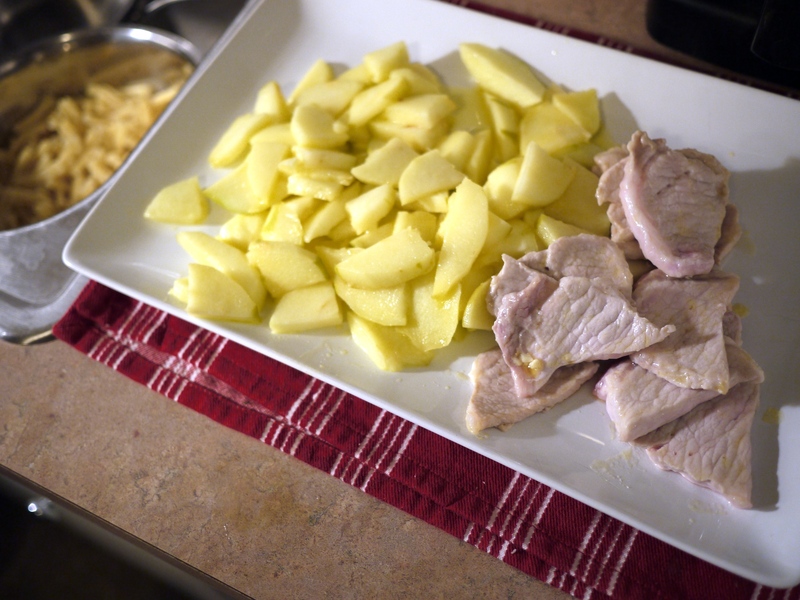 Add back pork and apples to the simmering sauce, stir, and let flavors incorporate for 2-3 minutes – no longer, you don’t want to over-cook your pork. Add pasta to sauce and stir for 1-2 minutes, coating your noodles. Voila.